By Melinda Schneider and David Mitchell. Director: Tom Healy. Musical Director: Michael J Harding. Choreographer: Andrew Hallsworth. Cast: Melinda Schneider, Rohan Browne, Sam Ludeman. Twelfth Night Theatre, 3 - 22 May. 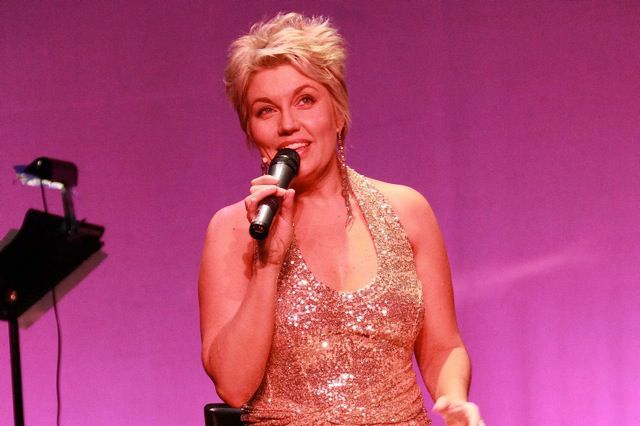 Her Majesty's Theatre, Melbourne - August 23 to September 4, 2011.
Who knew there was so much more to Melinda Schneider than just being an extremely talented multi Golden Guitar Award-winning Australian country music singer? Not me. But I certainly do now. In Doris, Melinda Schneider gets to show a whole other side to her talents by capturing the essence of Doris Day, managing to exude all of the warmth, sincerity and sweetness that was the real Doris. David Mitchell’s book coasts along bringing together all of the hit songs we have grown to know and love – Sentimental Journey, Everybody Loves a Lover, Teachers Pet; as well as highlighting the up and downs of Day’s personal life and performance career - and there were certainly quite a few downs. The show sits part way between tribute and impersonation – but it also draws on the highlights and parallels of both Schneider and Day’s lives; their broken marriages, their love of pets (Melinda’s two dogs appear on stage and are serenaded with one of her own canine inspired ballads). The highlight of the show for me was the beautiful blend of harmonies created by the cast with their simple version of The Black Hills of Dakota (Calamity Jane) – truly exquisite. There were a few minor hiccups on opening night – some minor male wardrobe malfunctions, actors tripping over their dialogue, and the talented 8-piece band not as tight as it should have been. But given another week to settle in and this show will be firing on all cylinders. 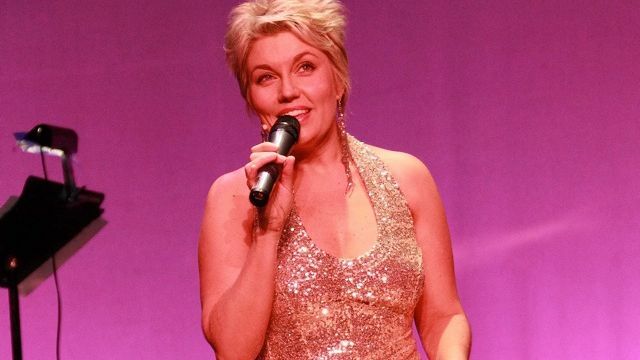 However, despite all of this, the stunning eleven o’clock number with Melinda’s version of Secret Love and the rousing finale audience sing-a-long of Doris Day’s famous signature tune, Que Sera Sera, made up for it all. Should you go and see this show? Perhaps, Perhaps, Perhaps! Images: Melinda Schneider, and Melinda Schneider with Rohan Browne, Sam Ludeman.